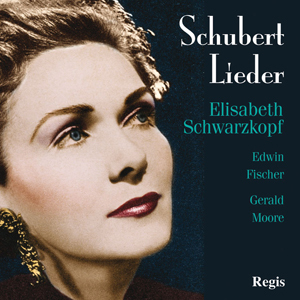 Elisabeth Schwarzkopf is accompanied by Edwin Fischer, Gerald Moore and Karl Hudez in a selection of Schubert lieder. Also featured is Marzellines aria from Fidelio and the early Beethoven cantata Ah! Perfido conducted by Karajan. Super budget.